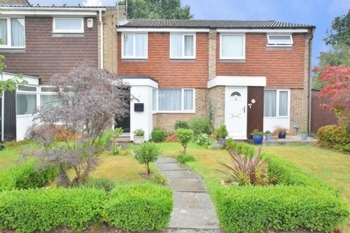 Guide Price £270,000 - £290,000. 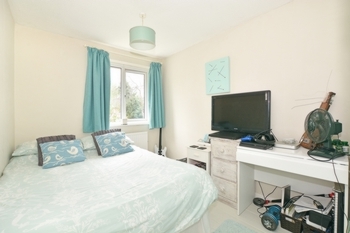 This beautifully presented three bedroom family house is located just 0.3 Miles from Crawley Train Station & Town Centre. The property offers spacious living accommodation throughout which includes the fabulous 13'10 x 11'1 open plan Kitchen/Diner. 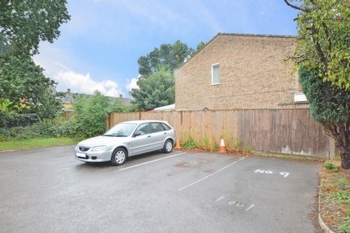 There is a feature south facing rear garden and one allocated parking space. 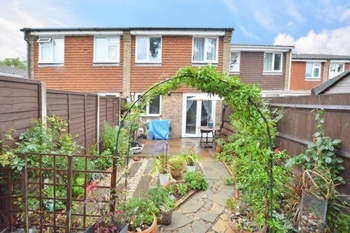 This spacious well-presented three bedroom terraced property is located within Southgate with excellent access to Crawley train station, Gatwick Airport, M23 north and south bound, several excellent schools and a range of local amenities. 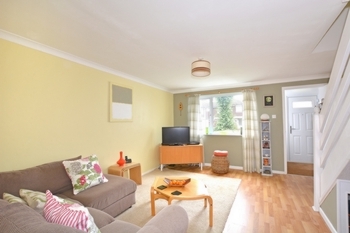 The property has been well maintained over the years. 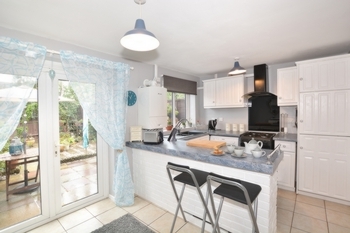 The house makes an ideal family home for those needing to be close to multiple transport links, whilst being in a much sought after and convenient location. 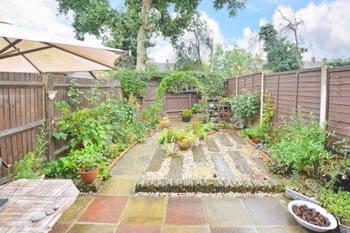 The property also feature rear garden and one allocated parking space. On arriving at the property you will notice the lovely front garden which laid to lawn with pathway to the outside porch with built in storage and front door into the internal porch. The internal porch provides ample room space for coats and shoes and has a side aspect window and door into the family lounge. The family lounge provides access to the kitchen / diner and open wooden stair case to first floor and landing. The lounge is light and bright with natural light coming from the front aspect window which overlooks the garden and provides generous floor space for free standing sofas and further free standing furniture. Within the lounge there is an under stairs recess area which is currently used as a small study area. 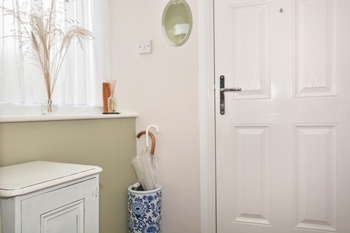 A door leads nicely through to the open plan kitchen / diner which in turn provides access to the rear garden. 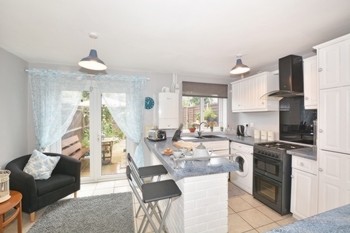 The kitchen / diner is a real feature to the property fitted with a generous range of white base and eye level units with work surface surround which extends into a painted exposed brick breakfast bar with two stools set against tiled flooring. There are some built in appliance such as the fridge/freezer with further space for cooker and washing machine which are included in the sale and a built in larder. A rear aspect window overlooks the rear garden whilst double opening French Doors lead out to the rear garden and patio area. Within the dining area there is space for a four seater dining table and chairs with a built in storage cupboard/airing cupboard. An open wooden stair case leads to the first floor landing which provides access to all bedrooms, bathroom and loft hatch. 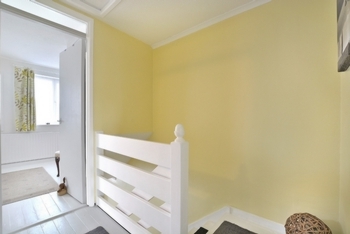 The landing, master bedroom, bedroom two and three all benefit from white painted sealed floor boards. The king-size master bedroom suite which is located at the front of the property benefits from two front aspect windows and an over stairs recess cupboard. 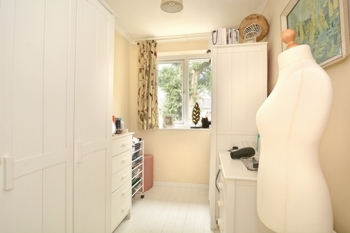 There is plentiful space for a king-size bed and free standing bedroom furniture. 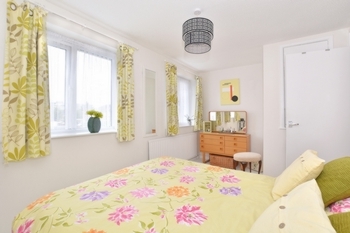 Bedroom two is located at the rear of the property and overlooks the garden. 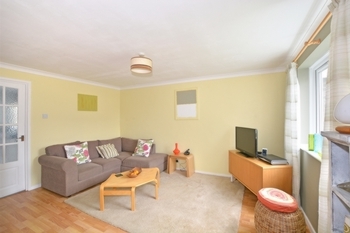 Space is provides for a double bed and free standing furniture. 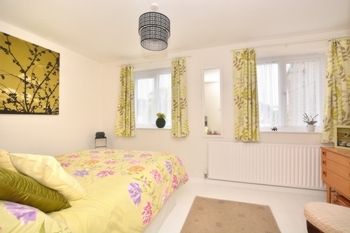 Bedroom three also overlooks the rear garden and provides space for a single bed and free standing furniture. 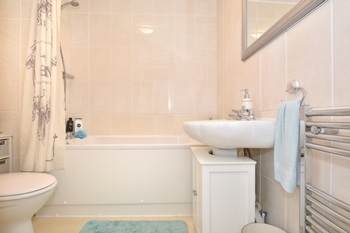 The family bathroom comprises of a three piece white suite with shower unit set against tiled walls with the benefit of a heated towel rail. 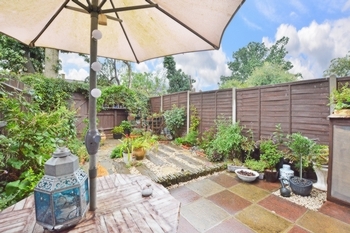 The 27' x 14' south facing low maintenance rear garden is a lovely feature to this property which offers a paved patio seating area, inset flower borders, crazy paved pathway and rear access. The garden is enclosed with panelled fencing to all sides which provides a good degree of privacy and seclusion.